Holy Smoke! These sliders are great! Try this new twist on the classic bacon cheeseburger - and meet your newest addiction. Heat coals or gas grill for direct heat. Mix beef, onions and pepper. Shape into 8 slider size patties, each about 3/4 inch thick. Cover and grill patties 3 to 4 inches from medium heat 10 to 11 minutes, turning once, until no longer pink in center and juice is clear. 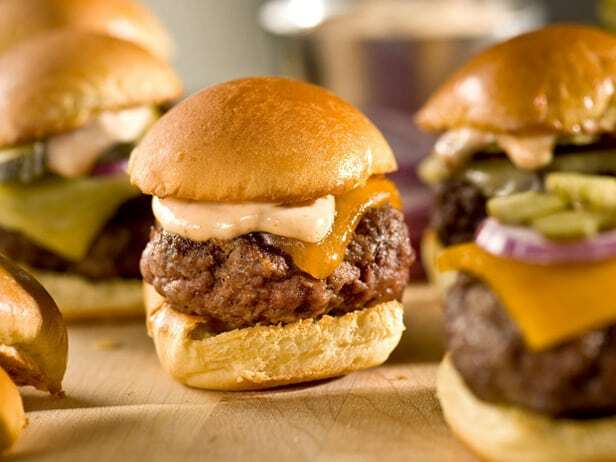 Put slices of cheese on each burger to melt toward end of grilling. Place burgers on bottom half of buns. Spoon Jimmy’s Holy Smoke! on to burgers; top each with bacon and other slider toppings.